The Male Glossy White Plastic Mannequin with Sign Head and Black Posable Arms is perfect for displaying clothing. 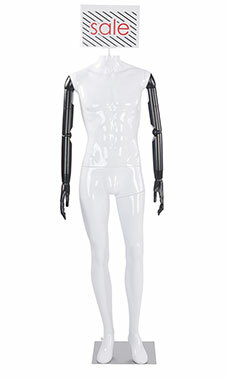 This mannequin is made of plastic, making it durable but lighter than a fiberglass mannequin. This mannequin is sure to give your store a high fashion feel!